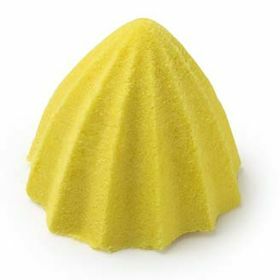 Following the release of its Ariana Grande-inspired Goddess bath bomb, Lush is back with a new innovation: shower bombs. Who says you need a fancy marble clawfoot tub to achieve ultimate levels of self-care? 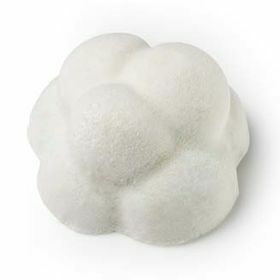 Lush recently released four new shower bombs that will suffuse once held under water, allowing the essential oils and fragrances to disperse within the steam of your shower. 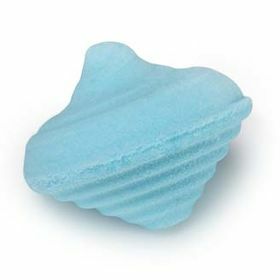 Retailing for $3.25 each, the shower bombs will fizz and expand when placed under water. As it expands, shower-goers would then cleanse their skin with the foam. Each contain sodium alginate (an ingredient also found in the brand’s jelly face masks), which leaves skin nourished and invigorated. Lush’s new shower bombs come in four different options: Koyaanisqatsi, Karma, Sleepy, and Not Sleepy. Shop them below. Koyaanisqatsi contains lavender oil for balancing and calming. 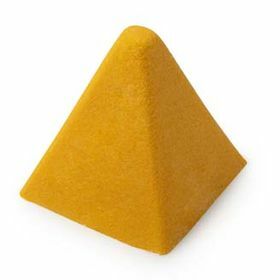 Karma contains orange foamer and turmeric for relaxing and uplifting. Sleepy contains lavender oil for balancing and calming. Not Sleepy contains lemon oil for refreshing and cleansing. Lush’s new shower bombs will wash away all of your bath bomb FOMO. We’ll take one of each.